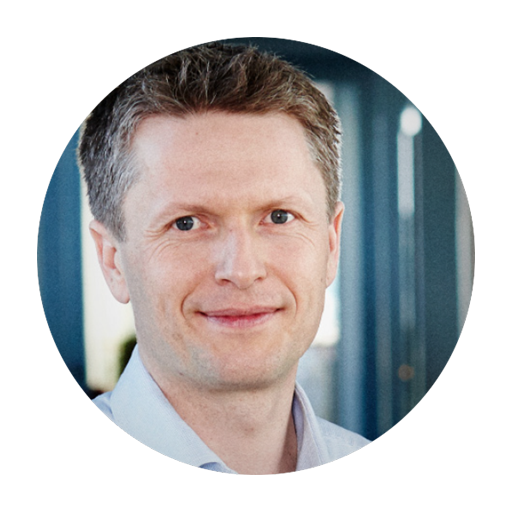 Steffen Duve, Partner and co-founder at SCADA MINDS. Electronics Engineer with 14 years of experience working with SCADA systems. Long-term professional freelance consultancy experience for wind industry-related businesses and has developed the expertise for commercializing productive efficiency of the SCADA system concepts. In 2013 joined ventures with partners Helge Jensen and Morten Kvistgaard for the merged company – SCADA MINDS. SCADA MINDS is building systems for the centralized monitoring and control of production equipment related to the concepts of making scalable solutions available through modern technology. Low implementation cost – competitive price contributes highly to the cost effectiveness of the projects that are run for SCADA MINDS customers. Short time-to-market – Nabto’s technology is developed in a way that minimizes the time for full implementation of production-ready products. 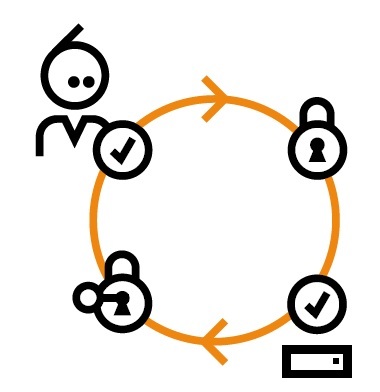 High security – every transfer with Nabto’s software between the internal application and third-party services is secured using the same standard of cryptography that is used for Internet banking systems. A traditional machine builder is using a standard PLC solution for extracting intelligence from the device. However, those devices are typically not connected. Enabling interaction between devices requires a set of specific tools and deep knowledge to make sure the connection is established securely. Access to data is what brings success to such complex SCADA systems. SCADA MINDS saw potential in the increased need for data-driven, predictive and automated control of SCADA systems. They combined expertise and knowledge in the industry and discovered a plug-in solution for accessing SCADA system insights. Nabto’s technology helped SCADA MINDS to decouple the interface of the controlling system by removing the traditional hardware. Previously, a SCADA hardware box was placed in front of the controller, embedding software for the interface and connecting to the PLC control system box. In common practice, an engineer needs to physically walk to the terminal and be in front of the system in order to control the tools of standard SCADA systems. Nabto’s software creates a remote interface, enabling visualization of the data. It also logs the data that can later be used by the operators to draw conclusions for intelligent applications. In Steffen Duve’s experience. Nabto’s technology helps SCADA MINDS systems support operational aspects of their customers within the wind industry. The software is built in such a way that it does not compromise the security of the assets and allows control center supporters to fully access and operate multiple sites, simultaneously, with very little cost: ’’… two operators sitting in one office can remotely manage thousands of turbines in a secure and convenient way – as if they were physically at the site,’’ explains Duve. A standard programmable PLC controller (hardware) is deployed into a wind turbine. SCADA MINDS hosts the gateway micro-server, called BIBOX uServer. This is a software component which directly connects to the PLC program and executes in real-time, running different algorithms for controlling and providing electrical signals out with the box. Through the BIBOX uServer, SCADA MINDS can access the interface of the program. It is always connected to the Internet and enables a secure tunnel of communication. The Splunk cloud platform is used for tracking activity, creating dashboards and support data analytics scenarios. BIBOX is integrated and connects through the interface to push the data to the dashboards. With this, SCADA MINDS can transport real-measurement data (e.g. wind direction) and fetch data files logged by the system, etc. Data logs generate information regarding different controlled device activity and parameters (e.g. alarm activation time). Nabto’s software contributes highly to SCADA MINDS’ unique selling points and ability to supply plug-and-play remote tools for their end-users, which in most cases comes in below a customer’s budget. Spica Technologies is one of SCADA MINDS customers delivering intelligent retrofit solutions for wind turbines. They have implemented SCADA MINDS solution and exploits Nabto software’s remote solution advantages by extending the lifetime of Wind Turbines and saving CO² emissions.